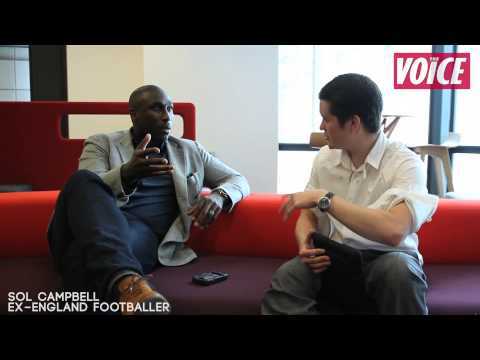 FORMER ENGLAND centre-half Sol Campbell spent six months following a group of four young black males in their quest to gain employment. The ex Spurs and Arsenal footballer talks to The Voice's Bart Chan about the challenges they faced, where the responsibility lies for the high unemployment figures, and what he learned from the jobseekers. The Office of National Statistics says 49 per cent of young black males, aged 18 to 24, are seeking work.